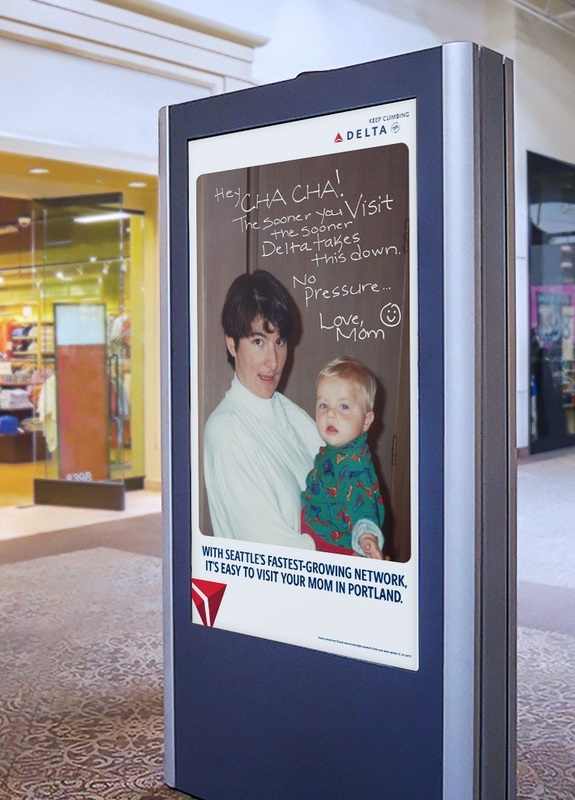 Delta is giving long-distance moms with adult children living in Seattle an advertising platform to persuade their children to visit more often by taking advantage of the airline’s growing global Seattle network. Launching August 15, the campaign features personal, heartfelt messages from real moms of Seattleites that remind their children to come visit: “Hey Babe, Visit soon! Love, Mom” and “Stu, I’ll always be here for you. Waiting. In Denver. For you to visit. Love, Mom.” These quirky, handwritten reminders to visit are coupled with heartwarming home photos showing each mom with their child. 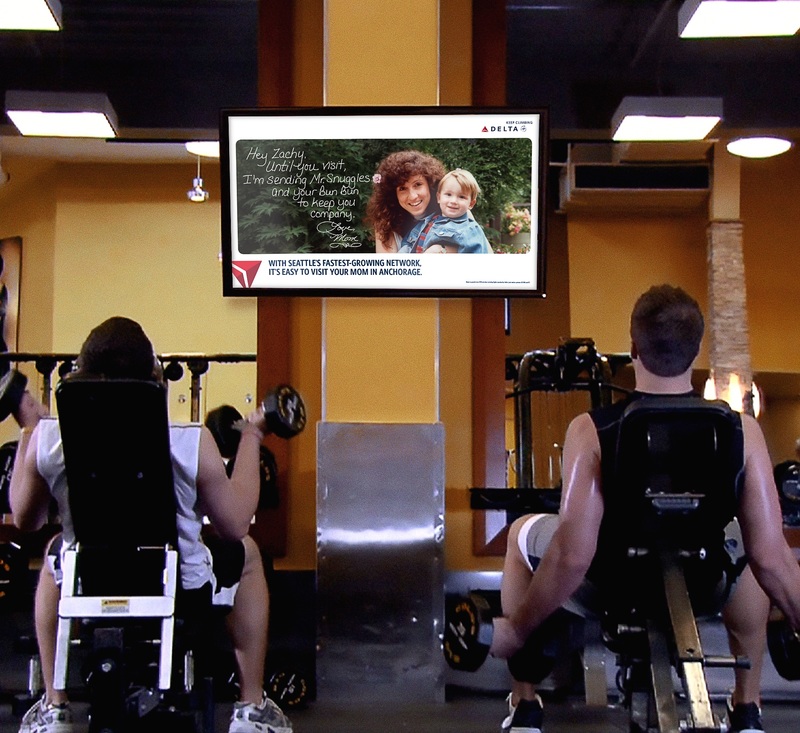 The messages will appear across the city, including on billboards, storefront posters, and at local bars and hot spots. 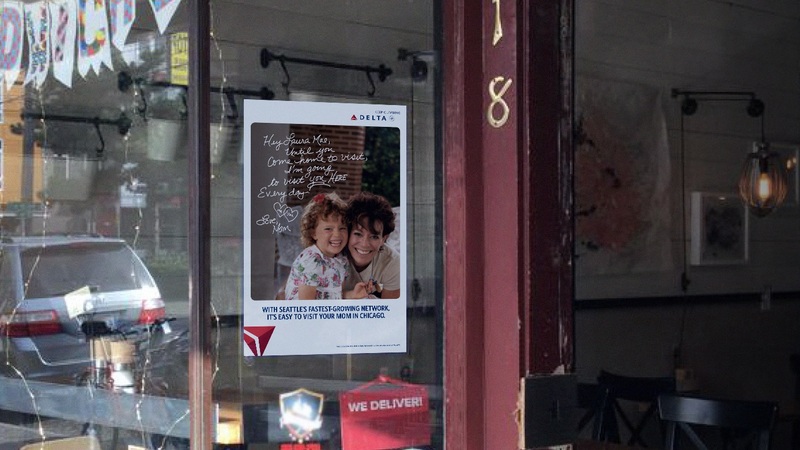 In a city where more than 60 percent of residents are transplants, the campaign showcases Delta’s ability to connect Seattleites with the people and places they care about most through its extensive network from Seattle, where Delta is the fastest-growing carrier. Delta’s partners at Seattle Sounders FC are getting in on the campaign, too. Siblings and Sounders FC players Cristian and Alex Roldan, who are Seattle transplants originally from California, were recently greeted by a group of look-alike moms that delivered a special message from their actual mom, Momma Roldan, to come home and visit soon on Delta. Delta is Seattle’s largest global airline and continues to grow its overall presence with a 10 percent increase in peak-day seats at its Seattle hub for summer 2018, driven by the addition of three new domestic destinations – Indianapolis, Kansas City and Washington-Dulles – as well as more flights and larger aircraft operating between existing routes. The airline is operating 174 peak-day departures to 54 destinations this summer, an increase of 11 departures compared with summer 2017 and 96 departures over summer 2014. Delta and its partners Aeromexico, Air France-KLM, Korean Air, Virgin Atlantic and WestJet serve 16 international destinations from Seattle, including Amsterdam, Beijing, Hong Kong, London-Heathrow, Paris, Seoul-Incheon, Shanghai, Tokyo-Narita, and eight destinations in Canada and Mexico. Delta will add Seattle-Osaka service in April 2019, and Air France began direct Seattle-Paris service in March to complement Delta's existing service. In 2017, the airline added or expanded service to nine destinations, including Austin, Boston, Chicago, Eugene, Lihue, Milwaukee, Nashville, Raleigh and Redmond. Seattle is also Delta's primary gateway to Alaska with service to five destinations — Anchorage, Fairbanks, Juneau, Ketchikan and Sitka.